McLure Moving and Storage is an official agent for Mayflower, one of the nation's most reputable household goods carriers. Mayflower's own fleet of top-notch drivers and trucks combined with their network of strategically aligned agents means we can move you anywhere in the United States. In the current economy, consumers may be tempted to pack and transport their belongings themselves; however, using a full-service moving company to orchestrate and execute a move can be a smart economic decision and provide them with valuable peace of mind. During the estimate, our Certified Moving Consultant will walk through your home as you point out which items will be moving and which will be staying. The Consultant will compute the total weight of the items you are moving and provide you with a quote. Your quote will be based on the weight of your shipment and the distance you are moving. There are many service options when you move interstate. Our Consultant can help you choose the services that are right for your move, including how to choose the correct liability protection. After your free estimate, we will be in touch to see if any questions have come up since we last visited. Once you decide that you would like to book with us, we'll schedule your move and discuss any moving day concerns. If you have chosen us to pack your household, we may schedule an extra day to pack if the estimated weight is too high to pack and load in one day. If you are packing yourself, you can also talk to us about buying new and used boxes from our inventory. 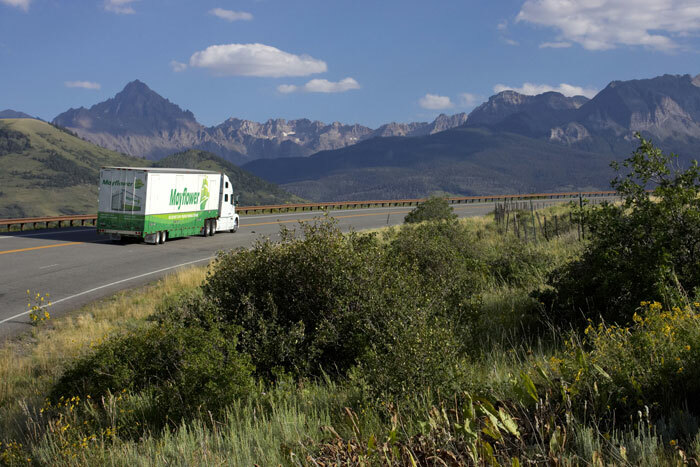 Once your household has been packed and organized, a Mayflower driver will come to your home with a crew ready to load your goods. All items will be inventoried by the driver. You'll receive a copy and sign off both at the origin and the destination. This way, you'll know exactly what went on the truck and be confident that it arrives. The driver will then drive to the closest facility with a scale available and weigh the truck with your shipment loaded. The weight of the truck will then be subtracted to find the official weight of your goods, which will be used to compute the actual cost of your move. The driver will stay in close contact with you and report the exact date of delivery within the agreed upon spread of delivery dates. After delivery you will sign the inventories and any remaining paperwork and pay for your move. You can arrange to have an unpacking service, as well as debris pickup to remove packing materials once everything is unpacked. At McLure Moving and Storage we strive to provide quality service from start to finish. Be sure, call McLure!